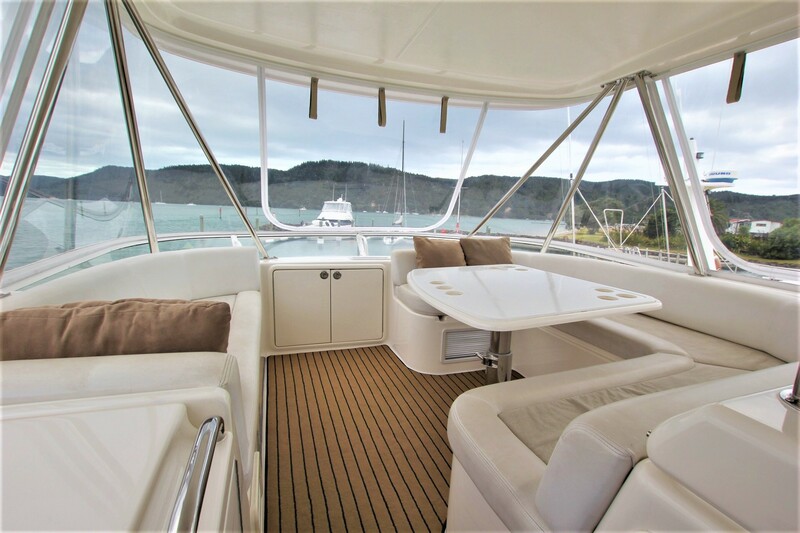 The 360-degree views make this the perfect spot for an afternoon drink and watching the sun go down. 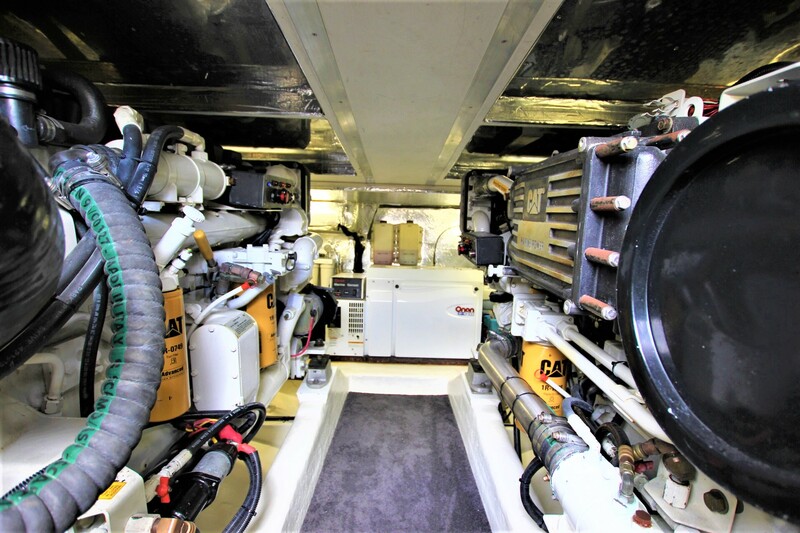 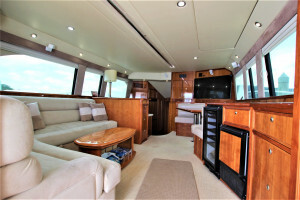 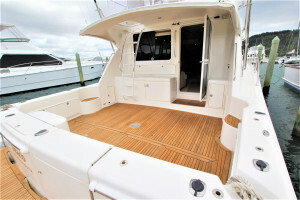 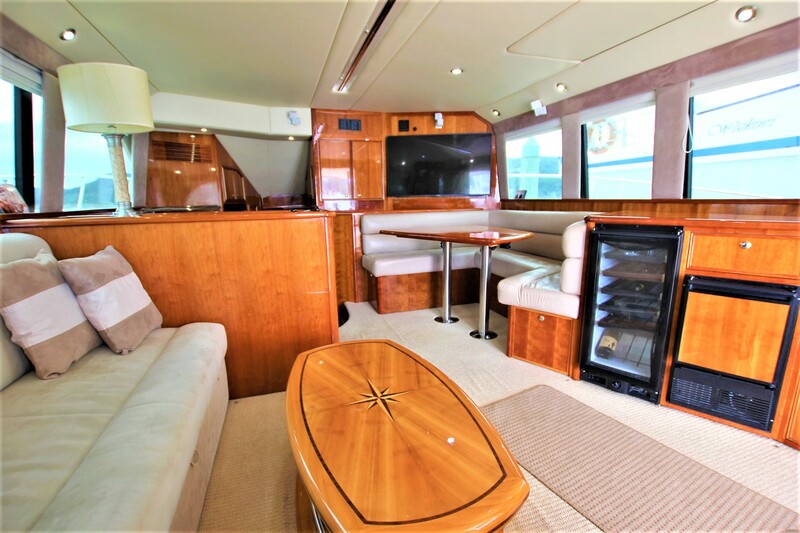 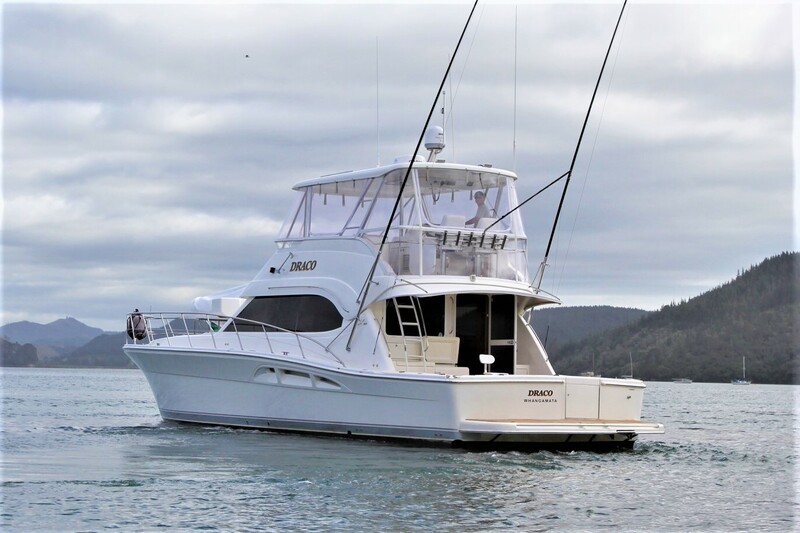 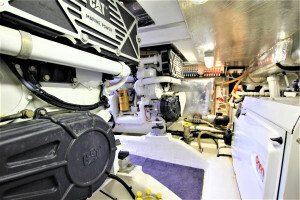 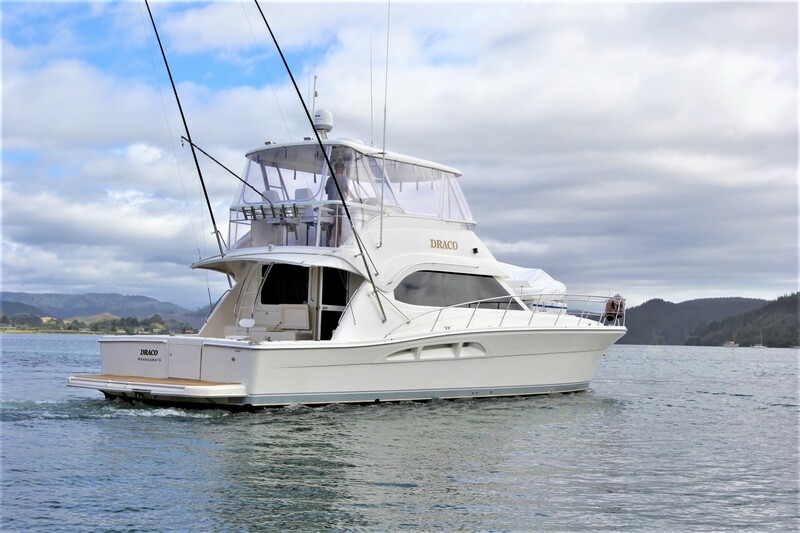 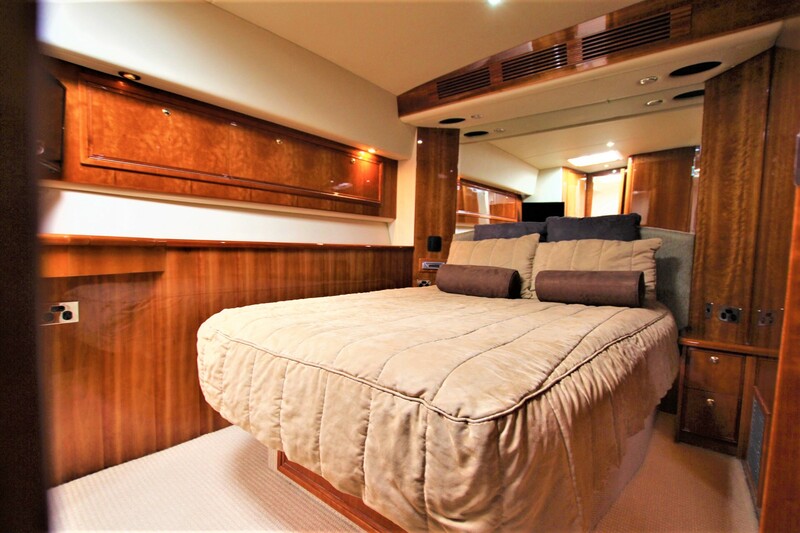 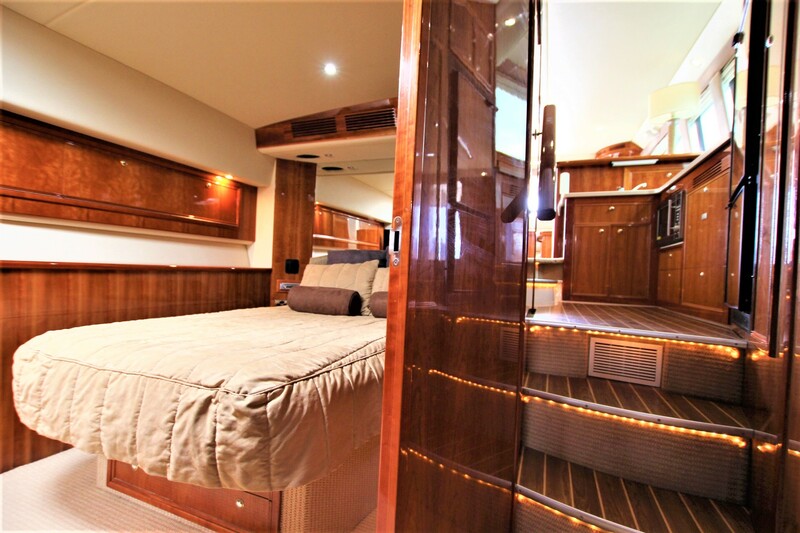 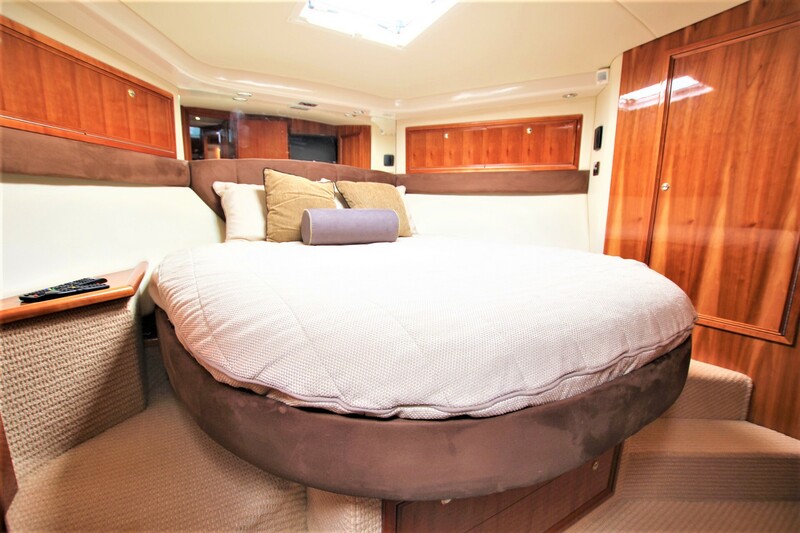 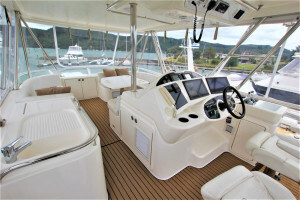 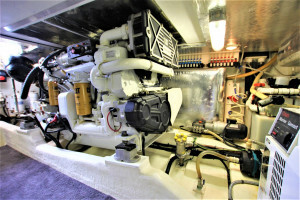 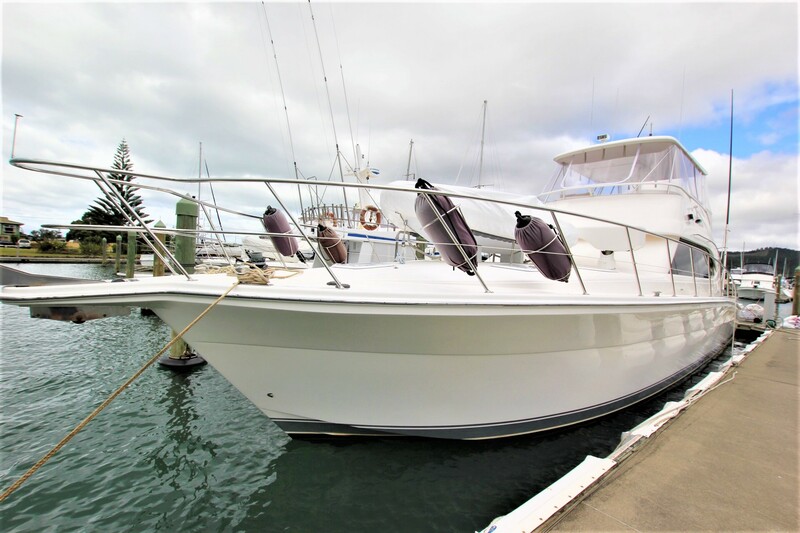 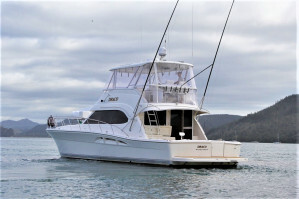 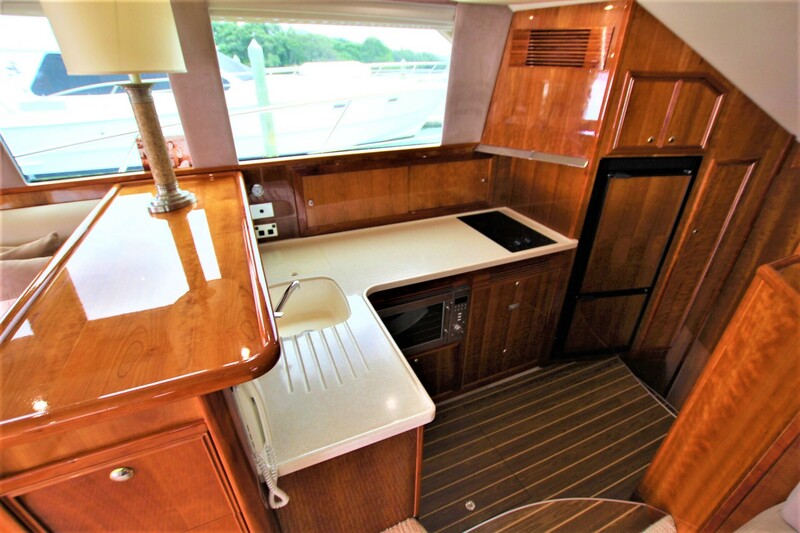 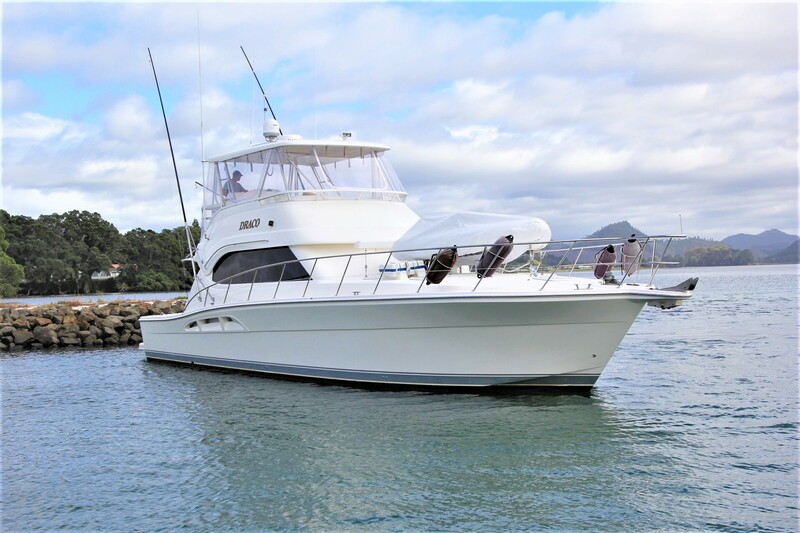 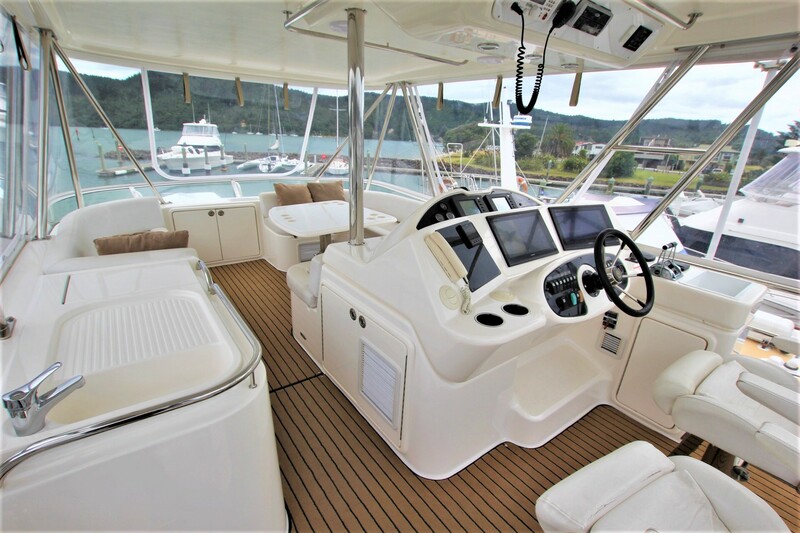 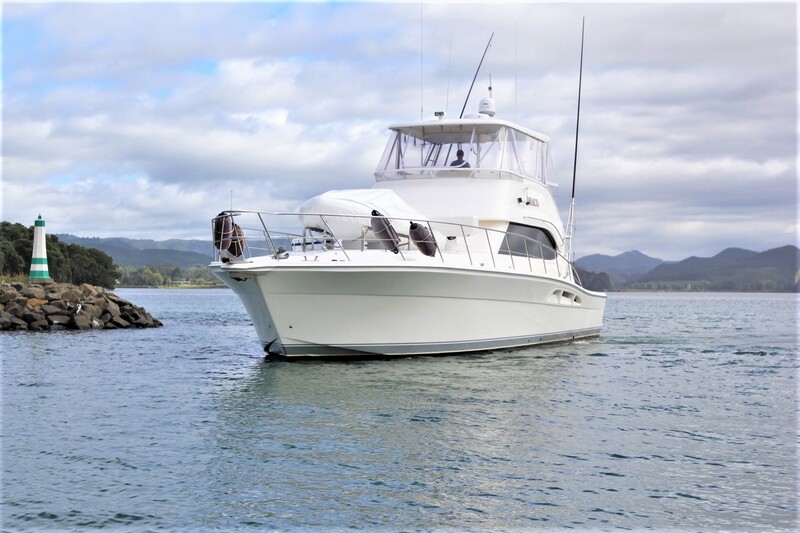 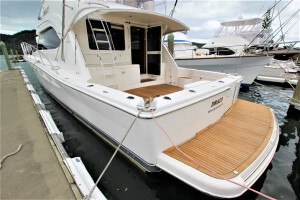 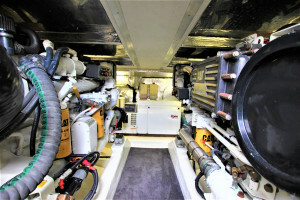 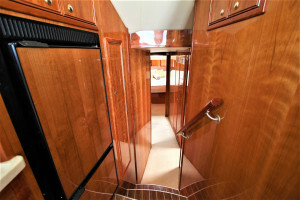 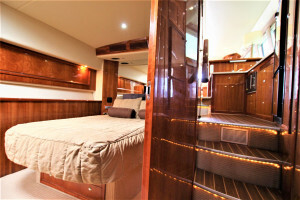 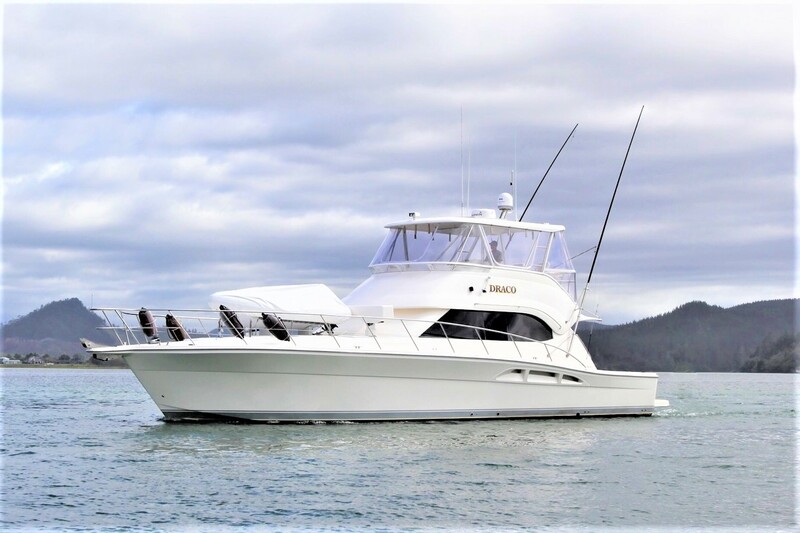 Below the flybridge are a generously sized cockpit with teak flooring and ample storage below deck, ideal for diving, fishing and outdoor accessories. 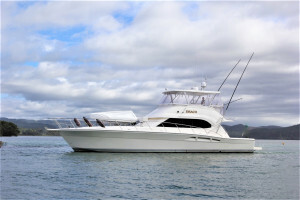 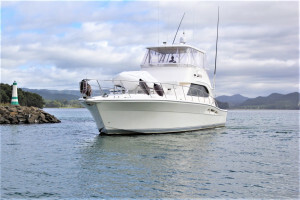 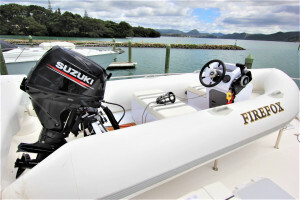 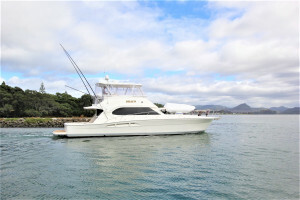 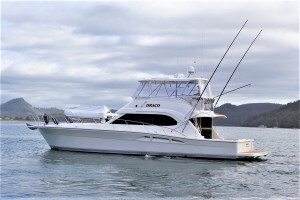 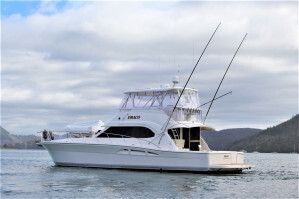 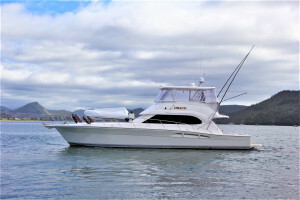 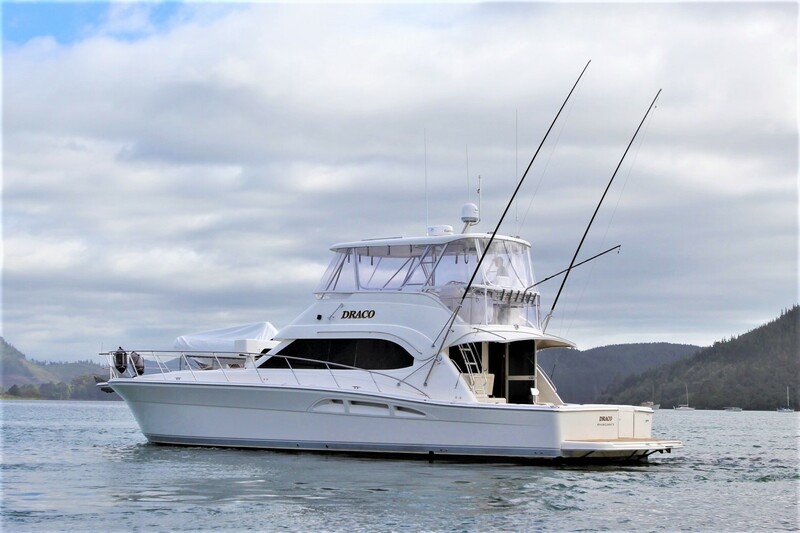 The vessel comes fully game rigged for fishing enthusiasts. Indoors the 51 feels open, inviting and liveable with a Cherrywood high-gloss interior that is warm and sophisticated. 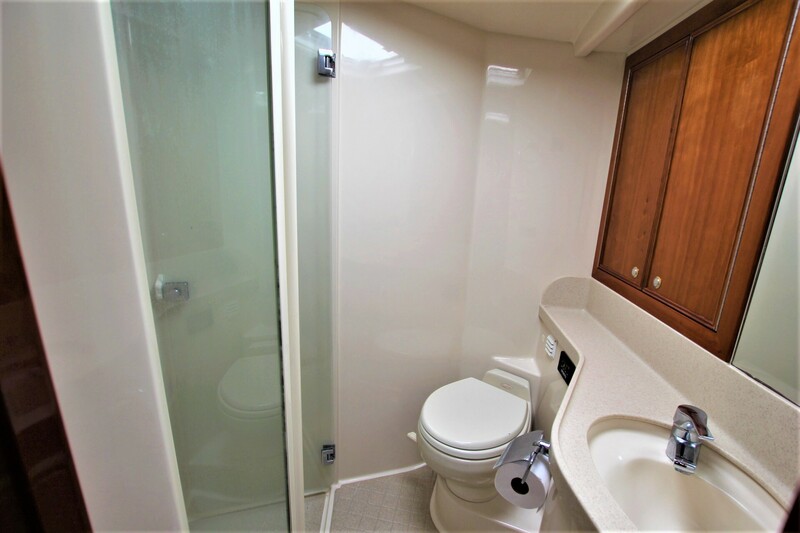 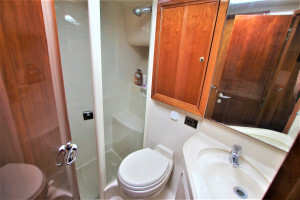 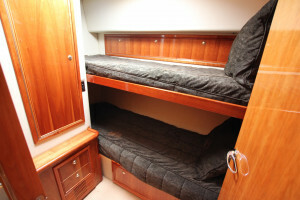 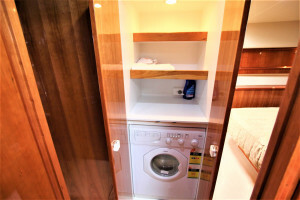 The accommodation features a three cabin layout with two heads along with a washer/dryer & water-maker on board. 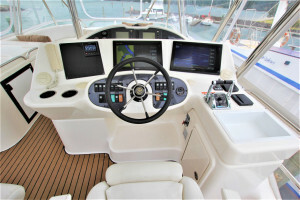 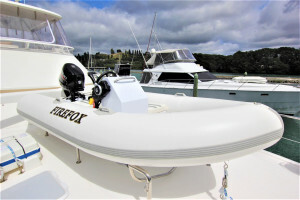 Some of the most recent upgrades include, Simrad electronics package, radar, auto-pilot, 1kw chirp sounder, near new King Water-craft 3.6 meter centre console inflatable with a Suzuki 30hp four stroke, new clears wrapped around the flybridge late last year, x 3 LCD TV’s with tracvision sat-dome fitted, LED flood lights and LED underwater lights. 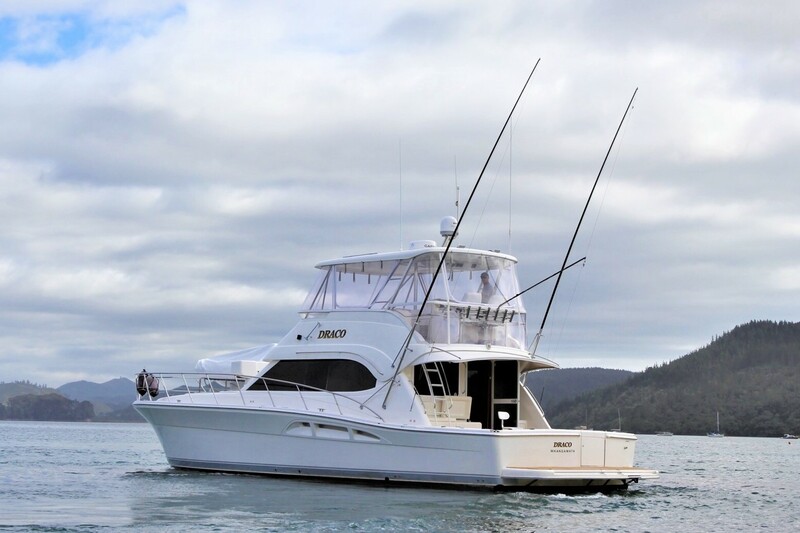 The sheer volume of the open 51 has been designed for the extended getaways with family and friends. 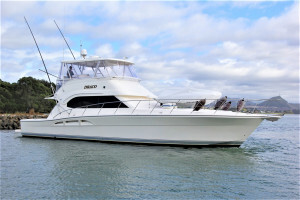 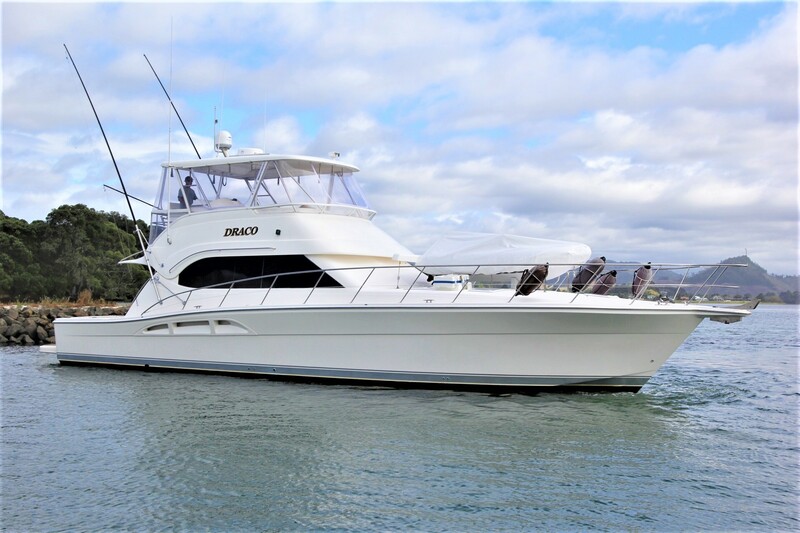 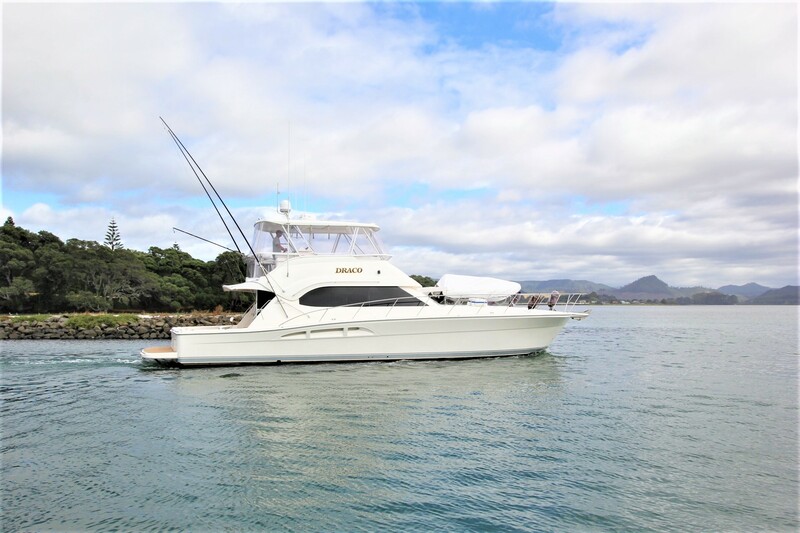 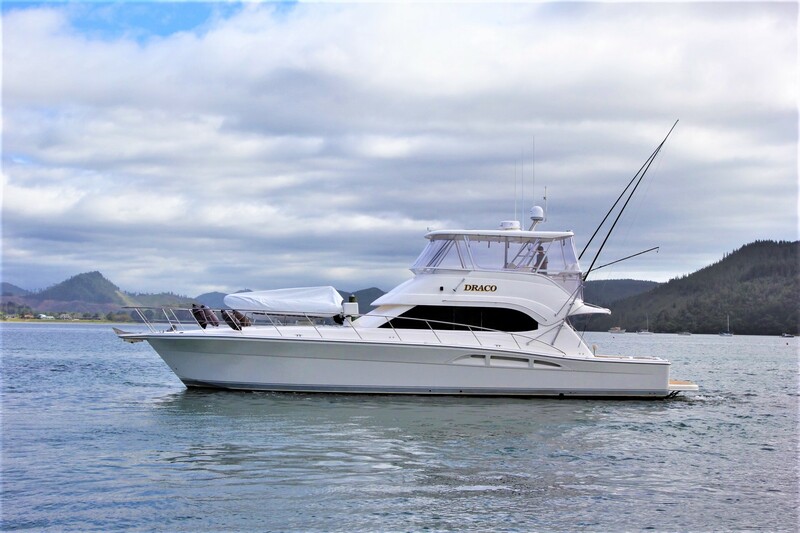 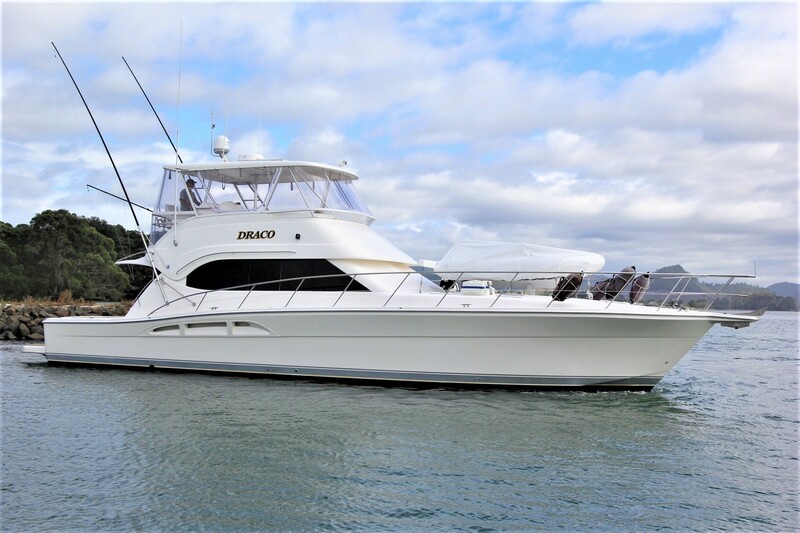 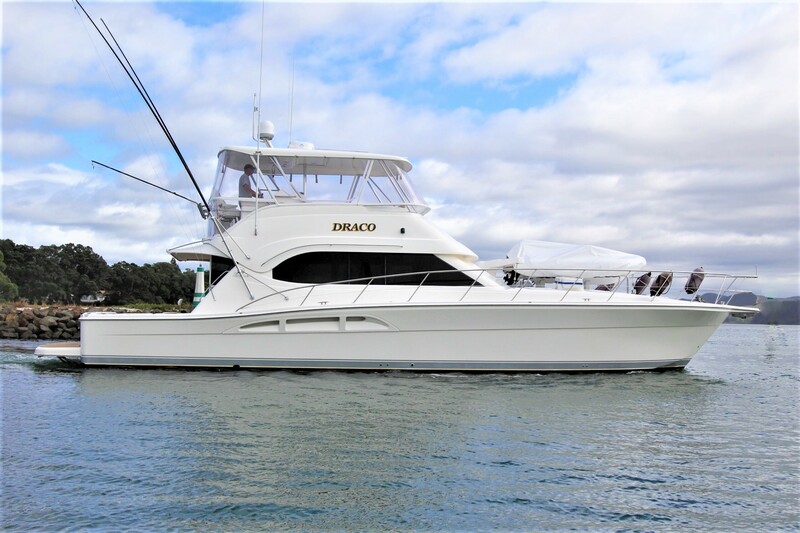 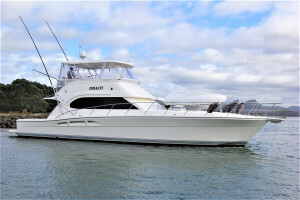 We have full inventory available on this vessel so please contact our R Marine team today! : Garmin; Plotter: Garmin 7416 XSV; Caterpillar Electronic Gauges; Garmin Multi Gauge.